Oh and I’m going to add that this is the perfect recipe for when you don’t need 12 cupcakes. Just use half the box and store the rest for later! In a large bowl, mix together all ingredients until well combined. Pour into prepared pan, half full if you want normal size cupcakes, or almost to the top if you want huge ones like mine. 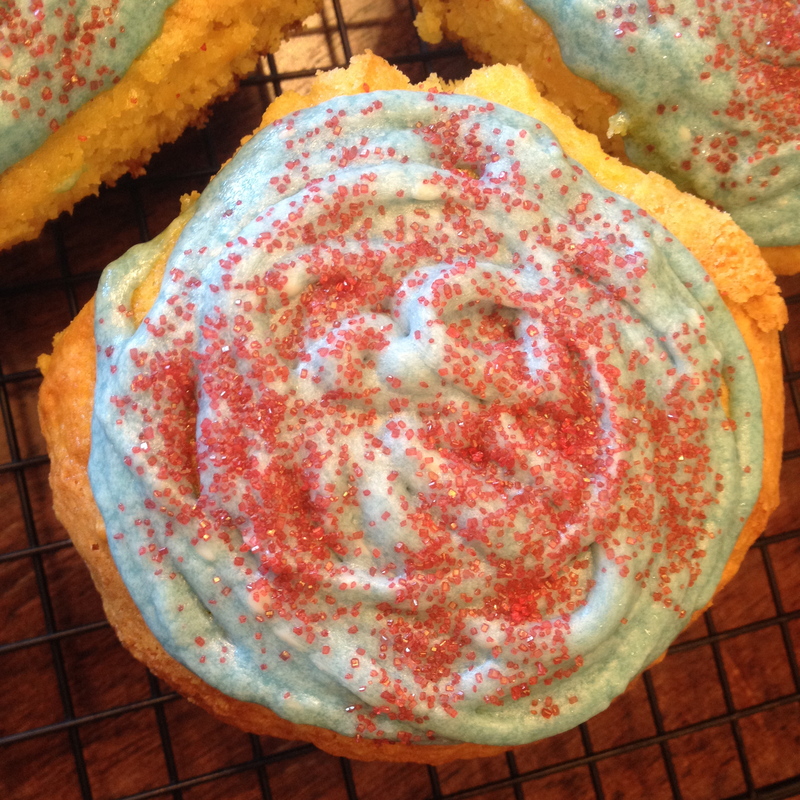 Tip: If making huge cupcakes, fill every other hole so they don’t run into each other when they bake. Bake for 18-20 minutes but check before the time is up if making regular sized cupcakes. Let cool for 5 minutes in pan, then remove and cool completely on wire rack before frosting. In a medium sized bowl, beat butter until creamy. Add sugar, vanilla and milk and beat until combined. If using, add a few drops of food coloring and mix until you get desired color. I used blue. 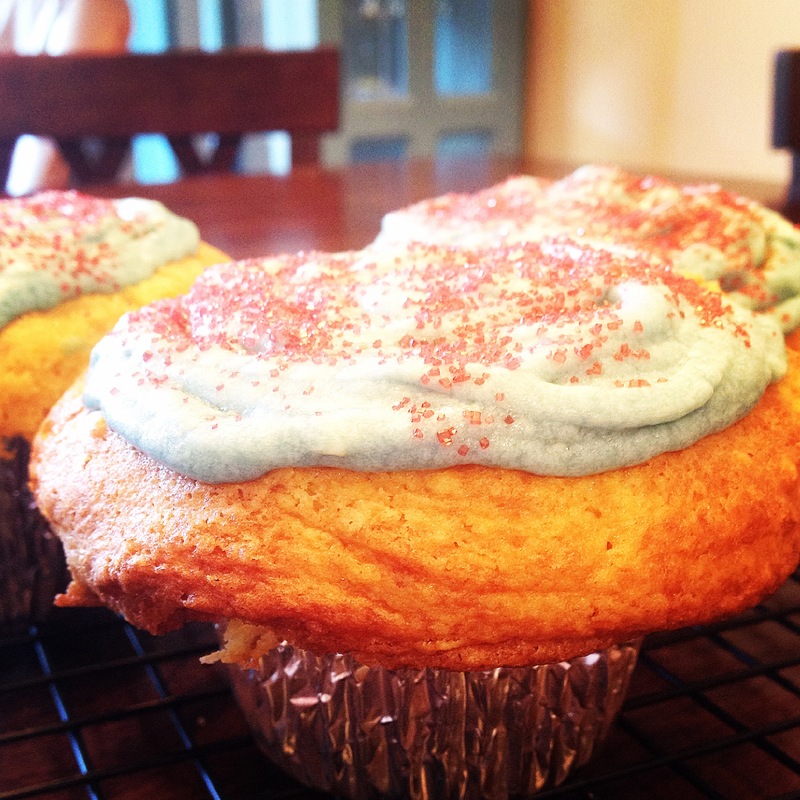 Pipe or spread frosting onto cooled cupcakes and enjoy!